The first thing I see when I arrive at Marc Proulx’s apartment is him in full make-up and a bright red nose, despite his every day clothes. The next thing I see is balloons, in their pre-blown up state – on the floor, on the chair, in bags by the door, hundreds of them. He apologizes for the clutter, stating that he is preparing for a gig he had that night. He’s worked with other organizations to try and find work, but it has always been temporary, and he has expressed a great interest in becoming financially self-sufficient, no longer relying on ODSP for support. Proulx has not let his disability slow him down at all, or affect his attitude. He happily chatted to me, and explained what he aims to do. 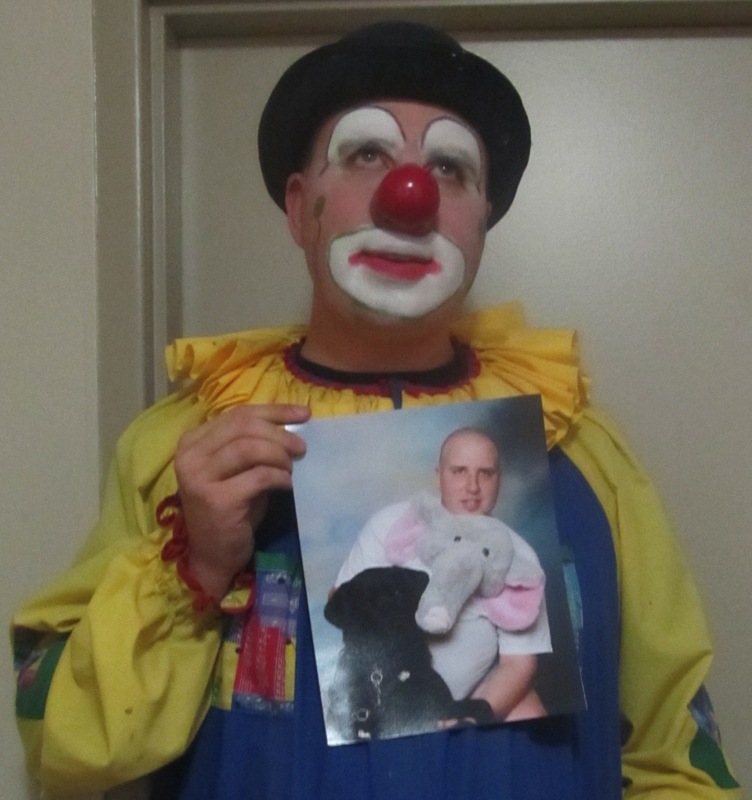 Proulx first became interested in being a clown when his mother got him involved with Lansdowne Children’s Centre after he lost his sight, and Jim Walsh was assigned to him as a respite worker. Walsh is now retired from that work, and is struggling with cancer. Walsh raised half a million dollars on his own for kids with cancer from the age of 40; now he’s 72. 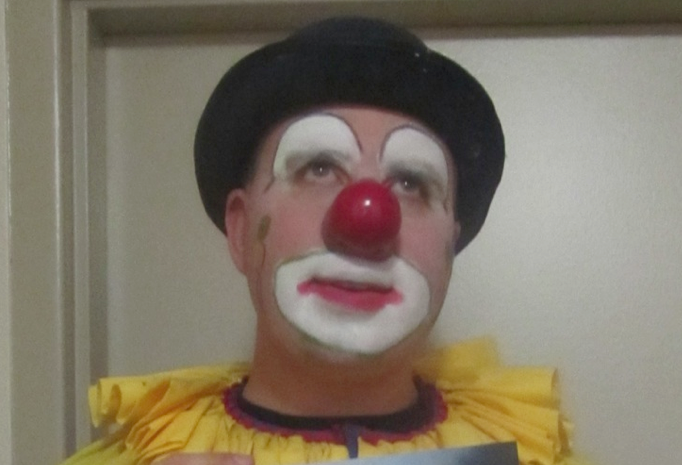 Walsh was also a Hobo clown, so when Marc started out, he began as a Hobo clown because that was all he knew. Marco certainly has been keeping busy creating those smiles. Before Christmas he performed three to four gigs a day each weekend from Paris to Newmarket. He is booked for the CNE as well as Montana’s for March Break. When asked what his favourite part about being a clown is, his response is simple. others who might find themselves losing their sight, be it slowly or suddenly. “Keep a positive attitude and look at the motto of W Ross: The impossible is only the untried. I live by that every day.” The bright smile on his face certainly brought one to mine. For more information, call Marc at 519-304-2277.